If you want to know the ABCs of growing a woodworking business, just ask Scott Dombeck, founder of Dombeck Custom Cabinets. 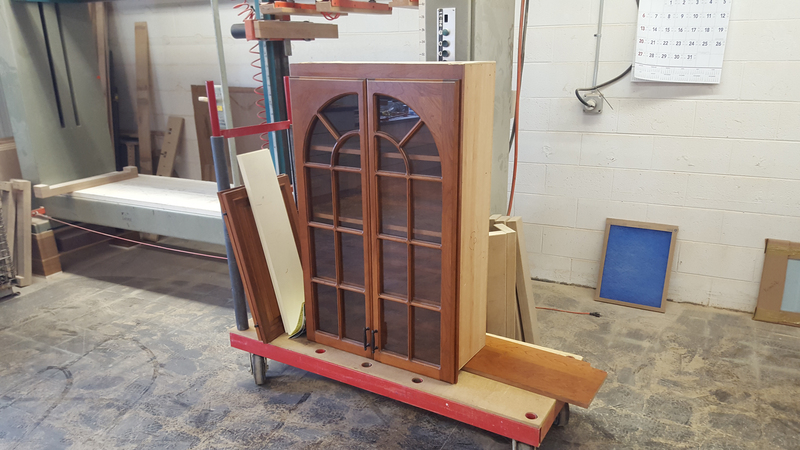 Evolving from a small, one-man shop to a high-tech operation in Elderon, Wisconsin, the custom cabinet shop has earned high marks for its ability to achieve high productivity and profitability. Dombeck credits a combination of CNC technology, quality tooling and handcraftsmanship with spurring the residential and commercial cabinet firm to more than a million dollars in sales. Founded in 1996, the central-Wisconsin-based company underwent its first expansion in 2000. 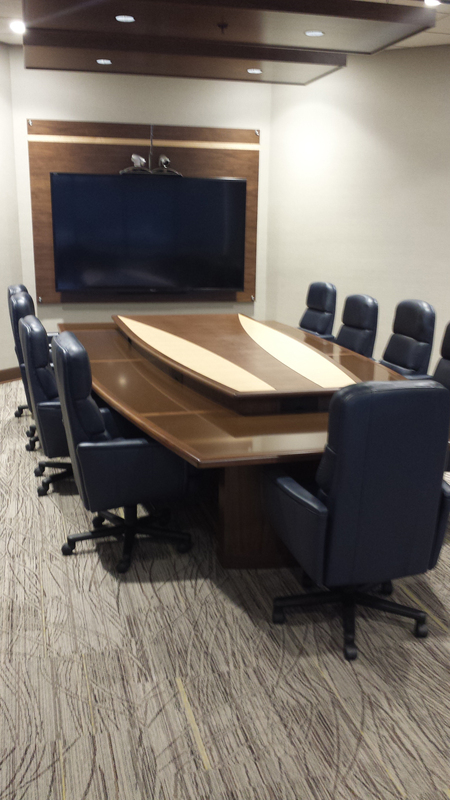 The closure of a competing cabinet provider in 2013 led to further changes in capacity and capability for Dombeck Custom Cabinets (DombeckCustomCabinets.com). “My company had been steadily growing. We were doing $450,000-$500,000 a year in gross sales, but we didn’t have the capacity we needed,” Dombeck says. “I told the operations manager of the company about to close that we needed to talk, and we discovered that we both had attributes to bring to work. This led to further change at the company, including its relocation to a converted elementary school in Elderon. “It sounds like an unusual venue for a woodworking company, but the space offered 12,000 square feet and had a lot of potential,” he explains. With help from a USDA rural business grant, the renovated facility was ready in October 2013.
Business grew quickly and by 2015, Dombeck Custom Cabinets achieved $1.3 million in sales. “In our 20 years in business, we have grown in sales every year, even during the downturn,” said Dombeck. “Our converted school is large enough that we have room to grow and we are not pushing capacity. 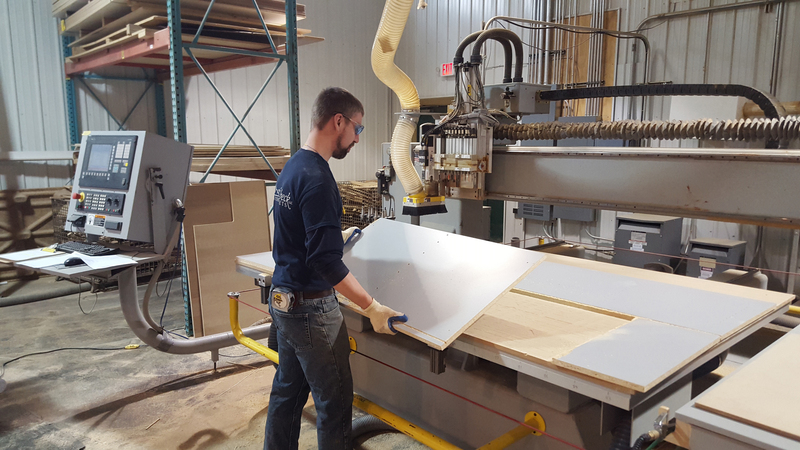 Equally important has been the return on investment Dombeck Custom Cabinets gets from its tooling. Since 2000, the company has partnered with Vortex Tool Co. to supply its cutting tool needs. Based in Schofield, Wisconsin, Vortex manufactures high-performance router and insert cutting tools for the woodworking and plastics industries, available in various grades of carbide, stellite, high-speed steel and polycrystalline diamond. Vortex also provides custom tool design, retipping and sharpening services. “The partnership we have with Vortex Tooling has been very important. We are using Vortex’s XP line of tooling, which offers high performance and longer life. We switched to that and are reaping the benefits of using better tooling and also getting higher productivity from the tooling. That helps us to save on tooling costs,” says Dombeck. The company also specializes in solid wood doors and produces millwork and mouldings, turnings and architectural details, such as mantles and bars. 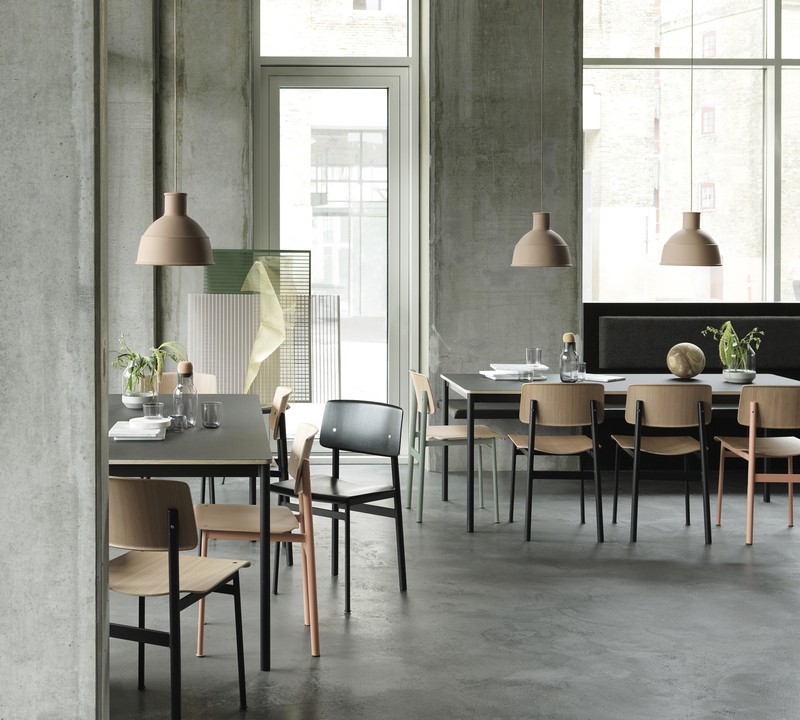 Species used include: alder, aspen, birch, select and rustic cherry, select and rustic hickory, select and bird’s-eye maple, pine, red oak, walnut and white oak, with others available upon request. With the technology and tooling in place, Dombeck Custom Cabinets also can cut plastic and non-ferrous metals. “There is not a huge demand for that but having the capability is very handy,” Dombeck says. For its cabinetry, the product mix is 80 percent residential and 20 percent commercial, with an equal amount of sales in frameless and face-frame. “The commercial side has been a nice niche for us. 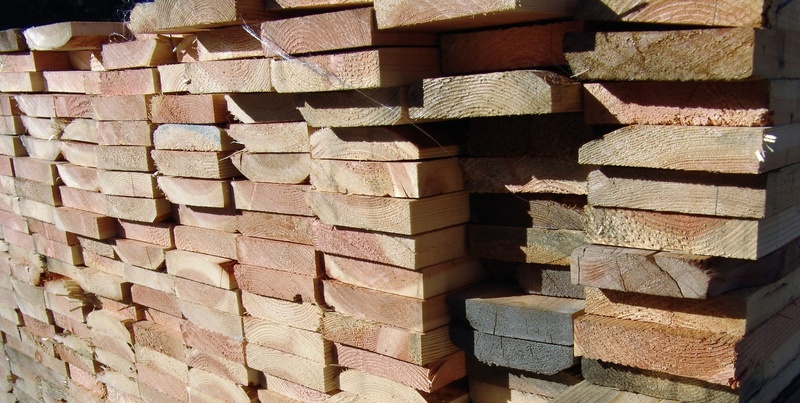 We deal with custom orders all the time so it’s not a stretch for us to do custom commercial jobs, too. We find ourselves in a very good place that allows us to do the jobs that the really big companies don’t want,” Dombeck says. Custom kitchen cabinets represent the largest segment of business, but Dombeck is quick to add the company also has the capability to provide cabinetry for any room in the home, as well as custom furniture, armoires, hutches and curio cabinets, built- ins and millwork. “We pride ourselves on being a true custom shop and our machinery additions have helped us in that area. Customers have an idea of what they want and we have the ability to produce it. 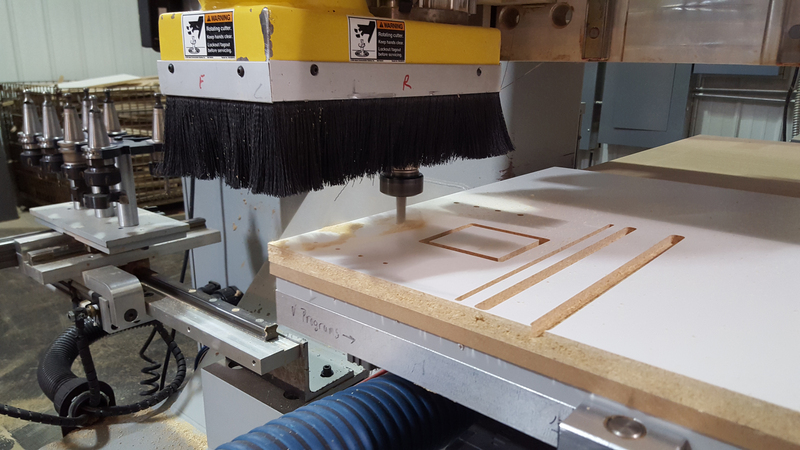 Quality tooling is a key component for a woodworking manufacturer looking to achieve optimal production — and success. 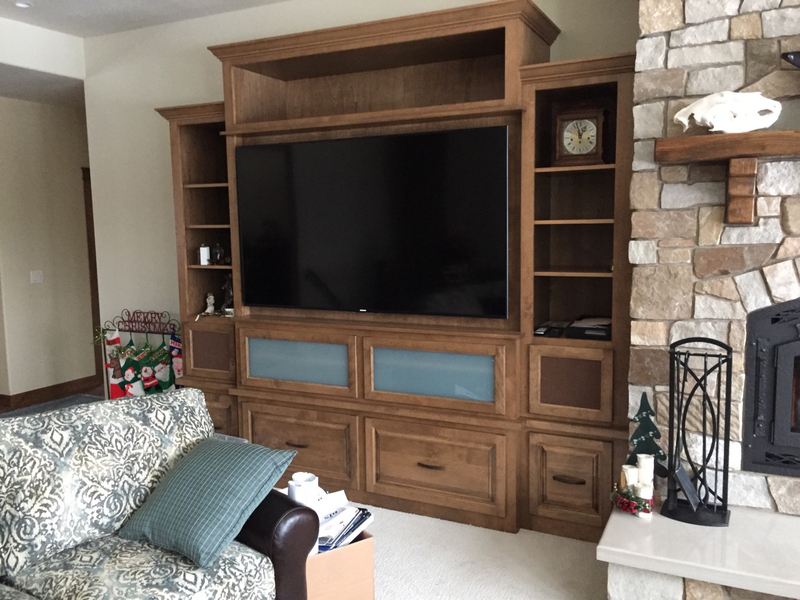 Just ask Scott Dombeck, founder of Dombeck Custom Cabinets in Elderon, Wisconsin. Dombeck’s company has been using Vortex Tool’s products since 2000. “The partnership we have with Vortex Tooling has been very important. It has allowed us to come up with the right tooling for our needs,” he adds. Among the tooling used by the custom residential and commercial cabinetry firm is the Vortex XP line of router bits which, Dombeck says, offers high performance and a long tool life. Originally designed for cutting laminated materials, Vortex says the XP — “Xtreme Performance” cutting tools work well with a variety of materials, while providing an average of three- to five-times longer tool life compared to standard tool geometry. The XP tooling line is available in two- and three-flute compression style geometries, as well as downcut geometry. Vortex also designs and manufactures a wide variety of standard and custom high-performance router and insert cutting tools for the woodworking and plastics industries, while also pro- viding retipping and sharpening services. Based in Schofield, Wisconsin, the company has been in business since 1992 and is considered to be the largest “American-owned and operated” producer of solid carbide router bits in the United States. For more information, contact Vortex Tool Co. at (800) 355-7708 or visit VortexTool.com.